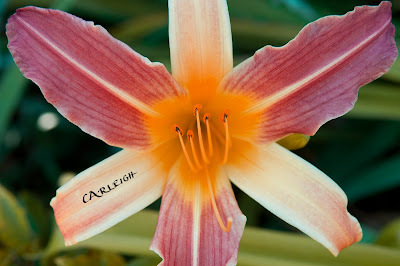 I have 11 winners to announce from the 8 giveaways that I held in honor of Carleigh's birthday. First, congrats to all the winners!! Second, sorry to those of you who did not win. I wish that I had something for you all! But don't worry I will hold at least 1 giveaway for Mother's Day and maybe one Father's Day so check back then. Again, congrats to all the winners!!! If you have won one of the giveaways above please email me at caring4carleigh [at] yahoo [dot] com to confirm and so that I can get your contact information to get your prize to you. If I do not hear back from a winner within 48 hours of this post, I will pick another winner. Happy 1st Birthday, Carleigh! Today at 3:49 am you turned 1 year old. It's so hard to believe that it has been a year already since you have been born. The anticipation of this day was much harder than both yesterday and today. Your daddy and I did ok today. A nice man from church made us a couple of wooden boxes and we appreciated the work that he put into it. He knows what we are going through because he, too, lost a baby many years ago and more recently his wife. We didn't go out to visit you at the cemetery after church because it was rainy. We had such a beautiful day for your party that it didn't upset me. While I was waiting on daddy to get lunch your song came on the radio and it was just perfect timing for me to hear it on your birthday. So mommy sang it and I got a little choked up on parts and daddy asked if I was ok. I was and I am. I'm ok, even though you aren't here. It can be hard at times because I miss you so much but I know you are in a wonderful place, far better than I can imagine. You're prolly sitting with Jesus and He's singing you a lullaby tonight. As we were driving home the sun came out and started shining like the sky knew I needed a few rays of hope. We sure do miss you down here. The whole world may forget about you but you can rest assured your mommy and daddy never will. We'll remember and love you always. Even 50 years down the road we will still love you like we love you today and perhaps even more! Take care my little one. You are so precious to me. I will hold you in my heart until the day I can hold you in my arms again. I love you. Thanks to everyone who though of us yesterday as we celebrated Carleigh's birthday with a party. And thank you to those who released a balloon for her. After weeks of planning and not much sleep the party is finally over and it went very well. Anthony, his parents, and my niece Kendall camed down Friday night to our house and then left to go pick up Hannah at the airport. Kyndra and I were already in bed when they got back. I woke up about 6:45 am Saturday morning and started getting myself around. I had already set some things out the night before to take for the party but there was still some last minute things for me to do. We left our house around 8:30 am. Anthony and everyone else went to go pick up the cake and I went to get my hair done. I finished up with my hair around 9:30 am and then I went out to the cemetery to replace Carleigh's flowers in her vase with ones I had made. After I finished up I went to our church's FLC where we were having Carleigh's party so that I could start setting up everything. When I got there, the guys were arranging the tables and chairs and so I started to get things in order on what would go where. I had my mom, Anthony's mom, and my pastor's wife Holly helping me out. Holly has been such a big help to me, so thank you Holly!! I know you're busy doing pretty much everything else in the universe so I appreciate you taking a little time for me! I was actually still decorating when some people came and they even helped me (thanks Jeremy!). The decorations came together really well and the balloons turned out great! I had 7 bunches of balloons that had a larger clear balloon with stars surround by 6 lavender balloons. I used those to decorate and then we had some leftover lavender balloons that we set off to the side that would later be used for the balloon release. The colors I used for the party were lavender, white, and a light green. I had green candles sitting around and they smelled like tropical fruit. Yum! The punch I had was a lime sherbet punch and it was really good! It even turned out to be the same color as the candles. The cake was simply awesome. The lady who made it did it exactly how I wanted. I set up a keepsake table that held some of her keepsakes and her scrapbooks. I also had her memory chest off to the side. It was nice to be able to touch all of her things. I had picked out some music that I had playing in the background during the party. The CD was called Inner Peace and I picked it out because of the titles of the selections. They seemed to follow our journey and I just thought that was neat. Here's the selections: Morning Light, Hearts of Joy, Solace, First Steps, On Silent Wings, Reconcile, Healing Hands, Reflections, Providence, Silver Lining, The Journey, Turning Towards Home, Inner Peace, and Truth. And they are all very pretty pieces. The photographer we hired came a little bit before 11 am and starting photographing the decorations and stuff. She really did a great job and I can't wait to see the pictures from the party. Sorry there isn't any on this post! I know many of you want to see them but I have to make you wait until I get the pictures back. I have a picture in my head of all the pictures I wanted so I hope she got them all! I wanted someone to come and take pictures so that I wouldn't have to worry about taking them myself during the day and I'm really glad that I did. We did have a little mishap with the grill that we were supposed to use to cook our food for the party. Anthony and I had decided to do a cook-out theme for the food and we found out the grill didn't have any racks! So, my dad and Anthony's dad went out to Walmart to get a grill to cook our food. Well, Anthony and I have a new grill now! lol (Thanks Dad!) Needless to say we started eating a little later than we had planned but it turned out fine. The food was good and then Anthony and I cut the cake. That was pretty interesting as I had never cut a two-tiered cake before! I managed though and we all had big slices of delicious cake! It was super good and I told Anthony if we ever need another cake we're definitely getting it from her! The thing that was most disappointing to me was that there were quite a few people that told me they were coming and then didn't. It really had me upset because I had put so much time and effort (and money) into planning this party when I could've planned a much smaller one had I known so many weren't going to come. (Not to mention the date was set months in advance.) I was talking to Anthony about it and realized that this party wasn't about how many people showed up or about anybody else. It was about Carleigh. He said regardless if nobody came we would still have fun and he was totally right. So I got over it and figured it wasn't my loss. It was anybody's who didn't come because they'll never get to experience this special day with us again. And I don't say these things to make people feel bad but to tell the truth of how I was feeling. I know some of those that couldn't be there released balloons for us instead and I appreciate that a lot! Anyways, after the meal and cake we filled out the cards that had one of Carleigh's flowers on it. We all wrote a little message to Carleigh and attached them to the balloons to release at the cemetery. We loaded up the balloons in the church van and Anthony and I led the way to the cemetery. I have to say here that we had an absolutely beautiful day for her party. Just the day before it was rainy and even this morning on her birthday we had rain. God gave us the perfect day and I am thankful to Him for it! The sun was shining while we were outside and even the horses came to the fence like they usually do when we visit and they're out. These are the same horses that were present at the cemetery on the day of her funeral. I've always drawn comfort from seeing these horses even though I'm not a big horse person. Hannah read a little something that she wrote and it was very sweet. Then we all sang Happy Birthday and at the end of the song we let go of all the balloons and they floated and floated away. We all spent a little more time at the cemetery and then everyone left one by one until it was just Anthony and I left (we put Kyndra in the van). We spent a few moments alone with Carleigh and then left to go back to the church to clean up, pack up, and go home. At home I unloaded everything and put it all away. Then we ended up going to eat at Buffalo Wild Wings for dinner (thanks Andy & Felicia!) and to a local hotel where a few were staying for the night. The kids swam for a little bit but Anthony and I stayed for about a half hour. By then it was 9 pm and I was so ready to go to bed! It was such a great day and so exhausting too! Thanks to all who came and celebrated with us! It really meant so much to us! Giveaway #8 is the final giveaway in celebration of Carleigh's birthday. It is by Heather from Heatherly Designs. Thanks Heather! First, let me say to my beautiful daughter, Happy Birthday Carleigh! You were born today at 3:49 am and it was one of the best moments of our lives. Also, I will post soon about her party but I am just so tired right now that I don't have the energy to do more than post about this giveaway. This giveaway is for a necklace with 2 petite angel wings. 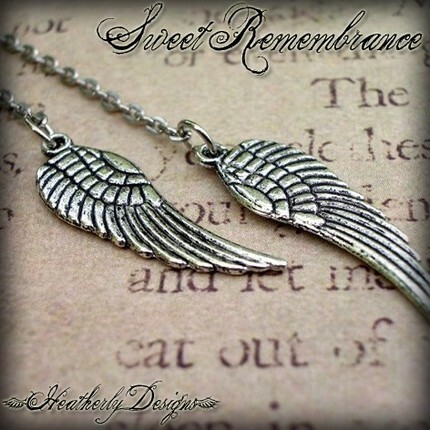 The wings are antiqued silver and dangle from a silver chain. There is no clasp for this necklace. You just tie the ends together in the front. The necklace itself is 18" and the wings are 1 1/8" long. 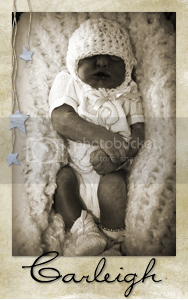 To enter this giveaway, please leave a comment telling me anything about your own little angel. It doesn't matter what it is. Just share whatever you like! As a reminder, all the giveaways that I have held are open and will close at the same time. You can read about that and more here. 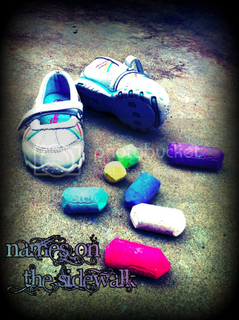 Giveaway #7 is by Katy from Somewhere Over the Rainbow. Thank you Katy for this and all you do! Katy creates many wonderful items and the Delivering Hope section of her shop is in memory of her daughter, Hannah Katherine. All the proceeds from this section go to support the Delivering Hope mission. This giveaway is for a custom memory box. 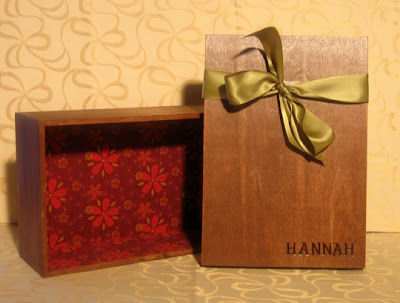 It is a beautiful, wood memory box stained in rosewood. The name of your baby will be branded onto the lower right-hand corner unless otherwise specified. The inside fabric can be customized by the winner. Inside dimensions of the box measure 7.25" x 10.75". This box is perfect for keeping little keepsakes from your baby or holding special letters. To enter this giveaway, leave a comment telling me if you have a special place that you keep all of your baby's keepsakes and things. Do you have a special area of your house. A specific shelf? A memory box or chest? Please share!! Giveaway #6 is by Dana from The Midnight Orange. Thanks so much, Dana, for doing this giveaway! Dana creates some wonderful pieces for both her shop and for custom order. 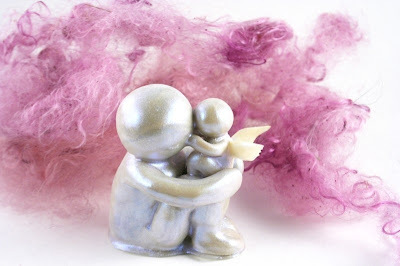 Her angel statues are perfect for those who have lost a child. Babies in the sculptures can be made with angel (see below), butterfly, or dragon wings. Sculptures can be made to include just a mommy or daddy and baby, sibling(s) and baby, or a family. Multiple angel babies can also be made. The possibilities are endless! I have one of these wonderful sculptures from Dana and it is precious! Very lovely to look at! This giveaway is for one sculpture priced at $22 (includes shipping). If you would like to create a sculpture that costs more than this, please expect to cover the remaining cost. To enter, leave me a comment telling me in what ways you use your creativity to remember or honor your baby. Have you created something special for your baby? Do you write poems or draw or paint? Please share! It's only 2 more days until Carleigh's party and 3 more days untnil her birthday. I have been planning and planning for this party and I am so tired! I think I could sleep for a few days after this! I have pretty much finalized everything. I just have to finish making the rest of the favors and the table confetti for Saturday. I will do that tomorrow. Today I made the majority of the favors, which took quite a bit of time! Good thing it was slow at work so that I could work on them. I called the cake lady and the balloon people and ok'd everything with them. It's a good thing I did because the cake lady never got the email I sent her. She'd been having some trouble with her email, but all is well now! After work I stopped by the local florist to drop off the silk flowers for them to arrange for the vase on Carleigh's headstone. I could have easily done it myself but I have enough to worry about and finish. I also ordered 2 fresh flower arrangements for Saturday. Oh my gosh, they are gonna be so beautiful! Then I went to Walmart to pick up the rest of the candy I needed to finish the favors. While there, I saw a purple tote with a star on it and I just had to have it so I bought that too. I picked up Kyndra from the sitter and we went home and napped. We woke up when Anthony got home around 5pm and then I left to go to the outlet mall to find us something to wear for Saturday. We each are wearing something with purple in it. While in the children's clothing store, I found a onesie that had a rainbow on it and I just had to buy it for little rainbow. :) I told Anthony that no matter if this baby is a boy or girl that they're gonna wear that onesie! lol He complained that there was a little pink in the rainbow. Oh well! Then I had the online bible study tonight but I only stayed logged in for about a half hour because my battery was low and the phone was gonna turn off. And here I am still up, trying to do a few things before I go to bed and wake up tired again. Don't worry, I'm heading to bed in a few minutes. My plan is to go to bed earlier than I have been tomorrow so that I can be rested for her party. But we know that things don't always go as planned so we'll see. Got lots to do tomorrow too, especially around the house-sweep, fold clothes, etc. Plus, if I want to do a slideshow I need to work on that. Haven't started that at all. As far as how I'm really doing with all of this....ask me later. I'm too tired and busy to really care right now. I don't have a lot of down time to think about things but when I do I get a little teary. Most of the time that is when I'm in my van driving and listening to KLOVE. Just continue to pray for us to get through the weekend. And I do plan on doing a post next week with some thank yous. I'd do it now but I figure it's best to wait until after the busyness has settled down and I have recovered with some sleep. The My Forever Child™ Collection was born out of a desire to create unique keepsakes for those touched by the loss of a child. No matter what age the child died at, it is very important for the grieving parent to have their child remembered and acknowledged. Even though the child is not with them physically, the parental feelings of love do not disappear. Parenthood is not measured by the length of time spent raising a child. 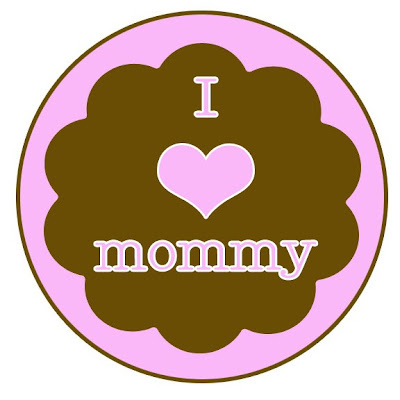 The child is always in the parent's heart, hence the phrase "My Forever Child™". 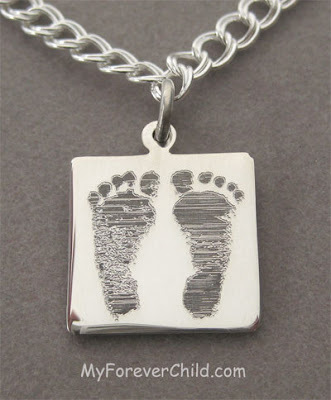 Our jewelry and keepsakes are not only for the parents of a lost child, but for anyone who wishes to have a handmade and personalized memorial item. Often times we do not express our feelings to others, so we keep our sadness and grief inside. Our pieces can help you express, without words, on the outside what you feel on the inside. Jewelry is one of the most treasured and personal material possessions we can own. Wearing or displaying an item from the My Forever Child™ collection is a beautiful way to acknowledge, remember, and honor someone who has touched your life, and gone too soon. This giveaway is for 3 $25 gift certificates to My Forever Child, so there will be 3 winners! My Forever Child is one of my favorite sites. They have a wonderful selection of jewelry and keepsakes and Sue can even create a custom piece just for you if you have something special in mind. I have several pieces that Sue has created for me and I treasure each one. To enter this giveaway, leave a comment telling me what you would get if you won a gift certificate from My Forever Child. If you haven't read this post already, please do so that you know how I am running these giveaways. Giveaway #4 is provided by Sarah at Say It With Flowers. Thank you so much Sarah and Richard for the wonderful work that you do in creating these beautiful photos of names written on flowers. They are breathtaking and such a wonderful way to honor those who have gone on before us. I have 2 opportunities for someone to have a loved one's name written on a flower, so there will be 2 winners for this giveaway! To enter, please leave a comment telling me how you honor either your baby/babies or another loved one you have lost. 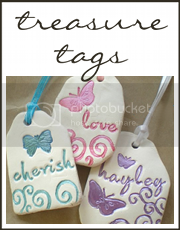 Giveaway #3 is for a handstamped charm by Janice from Pictures of Silver. Thank you, Janice! This giveaway is a pretty neat one! Your child's actual footprint or handprint is stamped onto a .999 pure fine silver disc. Reference to the scripture Psalm 139 "I am fearfully and wonderfully made" is also stamped onto the disc. Your baby's name and birth date will be stamped on the back. The disc is between 3/4"-1" in size and sterling bail is included with the charm. 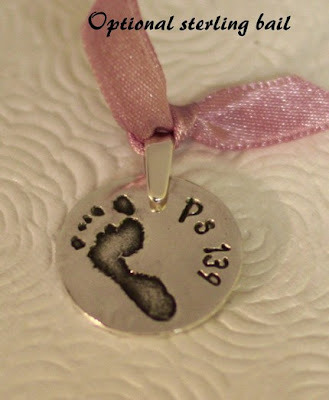 In addition to the charm, you will also receive the custom made clear rubber stamp of your child's footprint used to make the charm. This giveaway does not include a chain for the charm. Please make note that it will take several weeks to complete this charm if you win so please be patient! To enter this giveaway, leave me a comment telling me some of the little things about your or a loved one's baby/babies that makes them "fearfully and wonderfully made". For example, one thing that made Carleigh "fearfully and wonderfully made" was the hair on her head. Even though she was missing most of her skin and skull on top of her head, she still had a lot of hair! She had more than her big sister Kyndra when she was born. We were able to snip several locks for us to keep. 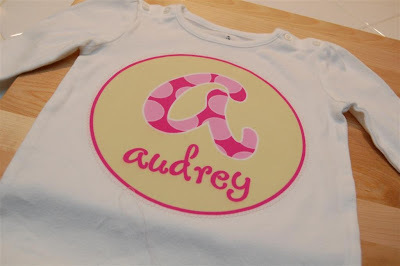 Giveaway #2 is for a onesie or tee made by Veronnica from Sweet Vees Tees. 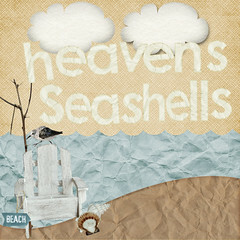 Veronnica can create for you a design from her shop or do a custom design for you (she's very crafty and creative!). She can create any size from a newborn up to an adult XL. Her creations are oh-so-cute and absolutely perfect for any little ones that you know! To enter this giveaway, visit Sweet Vees Tees and pick out your favorite design from the ones in her shop. Come back and leave a comment telling me what you picked! I can't wait to hear what your favorite is! I shared this over at my family blog but thought I would share it here too. Today in Sunday School we watched a Nooma video called Rain and then had a discussion afterward. Prolly the thing that I remember most from talking in the class is the following. A gentleman shared of something that he struggled with and continues to. At one point in his life he was asking God why he must struggle with this and why He didn't take it away from him. It was then he heard a soft, audible voice say, "Because sometimes it's the only reason you come to Me." Um, wow. How often is that true of all of us? When life is dandy and there aren't many struggles it's so easy to spend less time with God. Sometimes the only way God can get us to come to Him is in our struggles. Perhaps that is one of the reasons God doesn't take our struggles away. I certainly felt the struggle today and I knew it was gonna come. Church is just an emotional place and with us closing in on Carleigh's birthday I knew that today there was gonna be some tears. And I was right. Seems to be a lot of lessons in our Sunday School class that I can relate to so much in our journey with Carleigh. This is why I don't speak up much in class. I'm afraid I'll just lose it and I'm a person who doesn't like to cry in front of other people. I'd much rather be alone. We had a larger class today compared to other weeks. Our pastor shared at the beginning of class in case anybody didn't know (we've had some new people recently) that our daughter had anencephaly and was born still. Later in the class a gentleman shared that 16 years ago he had a baby that was born still too. I could just tell the emotions it was taking him to share this with us but I couldn't say anything at the time for fear of losing it. He said he still missed his baby very much. At the end of class I told him how thankful I was that he shared that with us and then I started to get all blubbery and I had to leave. Anthony was supposed to do powerpoint at church but when he told me I started crying. Every week we're there he always has to do that or sound and we never get to sit together. Sometimes I just need him to sit with me and so he did. I was still a little teary but once we started singing I was a little better. Anthony and I went to the altar together and prayed and cried. We just need for God to carry us through this next week. We can't do it alone. Giveaway #1 is for a necklace from Anna Ourth Jewelry. This necklace was inspired by my Anna's miscarriage as well as the losses of many friends. Her desire with this necklace is to give mamas a tangible object in memory of their sweet little angels. 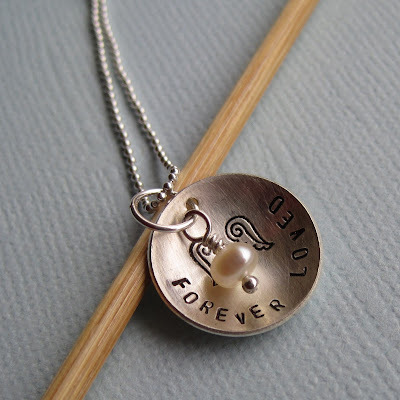 A little 5/8 inch sterling silver blank is hand stamped with tiny angel wings and the phrase "forever loved". The disc has been hammered into a slightly domed shape. A tiny freshwater pearl dangles with the charm and both hang from a delicate 18 inch sterling silver ball chain necklace. Your child's name and birth date may also be stamped on the back at your request. There is also the option of substituting the pearl with a crystal birthstone. I adopted my oldest daughter as a single mother and then got married when she was 5 and my husband adopted her as well. We wanted to have more children and tried for almost a year before getting pregnant. We discovered that our sweet baby was not living during an ultrasound at 10 weeks and it was devastating. It was too early to know the gender, but I think of him as a little boy named Paul. Part of what made it so hard was that it was my first pregnancy and I had a nagging feeling in the back of my head that maybe I couldn't have a baby. After the miscarriage I was feeling pretty depressed and started making jewelry to cheer me up and give me something to focus on. I fell in love with making jewelry. It took quite a while to get pregnant again but we did and had a little boy and then 15 months later another little boy. When my first son was a baby I decided to open my Etsy shop and start selling my jewelry. 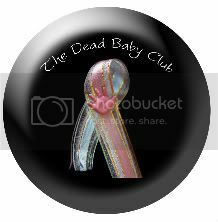 I also joined an online forum and came to know a wonderful group of women online and last spring one of them lost twin girls at 22 weeks. 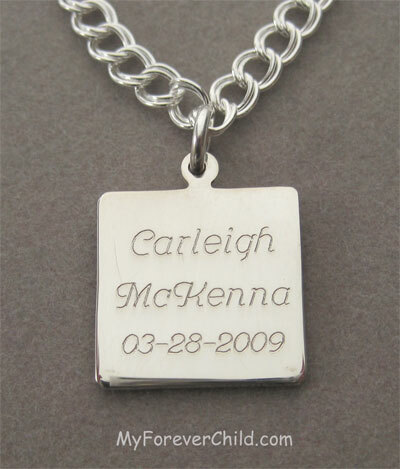 Her loss really touched me and I had the idea to send her a necklace with the girl's names and their birth date. She was so touched by the gift that I decided I would like to make necklaces available for other women who had lost their babies. I think the tangible reminder that can be worn all the time is so powerful. 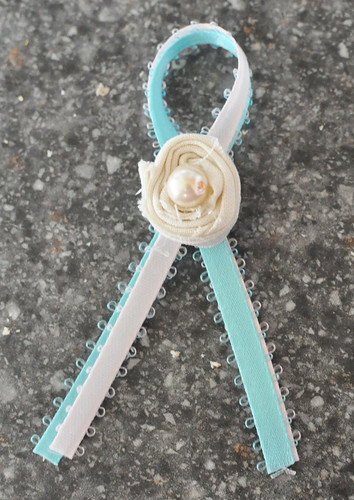 I would love to be able to give a necklace to any woman who has lost a baby but I just can't afford that so I decided to sell them and gift them when I can. Somehow, there seems to be a real connection between my jewelry and infant loss. My jewelry has evolved over time and at this point I am getting interested in metalwork and learning new metal smith techniques. I love working with metals, pearls, and gemstones. Thank you, Anna, for providing a beautiful necklace for today's giveaway and for sharing your story with us all. Although Anna experienced her own devastating loss, the loss of a friend's babies really touched her. To enter this giveaway, please leave a comment telling of how someone else who has lost their child(ren) has touched you. As all of you who read my blog know, Carleigh's birthday is coming up on March 28th. In celebration of my daughter's birthday I am going to be holding some giveaways for the next week. Now here is some information you need to know about these giveaways. I will be holding a giveaway per day from Sunday, March 21st to Sunday, March 28th. All giveaways will remain open until March 28th at 11:59 pm EST. All winners will be announced on March 29th. To enter the giveaways, leave a comment by following the instructions on each giveaway. 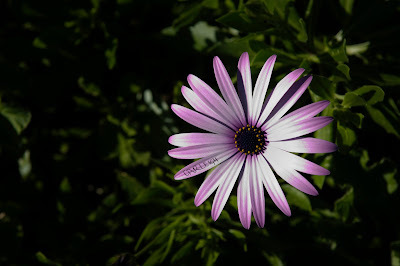 Those who follow my blog are allowed an extra entry because I am thankful for the support that you have given me! Just leave an extra comment telling me that you follow otherwise I might overlook it. These giveaways are my way of celebrating Carleigh's birthday online with the many wonderful people who have been there for me, whether it's been from the beginning or just recently. You don't have to be a babylost mom to enter these giveaways. 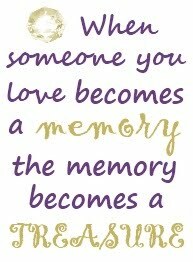 Thank you to all of you who have loved and remembered my daughter with me. Today at work was pretty tough. It was a combination of several things-Carleigh's upcoming birthday, my care with rainbow, and reading a pregnancy after loss book. I just felt on the edge all day while I was working. I felt like any minute I would break and just lose it. It was harder toward the end of the day but I made it through. When I got home with Kyndra I felt much better and the rest of the day was fine. I wonder what tomorrow will bring for me. Hopefully it will be better but tomorrow makes no promises. Yep, just 12 more days until Carleigh's birthday. I can't believe it is almost here! I've still been quite busy planning for her party on the 27th. I talked to Holly, my pastor's wife, on the phone today and she helped me to sort out some details for the party. Now all that's really left to plan is just the little things and I'm working those out. I'm still deciding on whether to create a slideshow of this past year. I need to decide that soon and get to working on it if I am. I think Anthony and I have decided to do a cook-out type theme for the food, like hamburgers, hot dogs, chips, etc. I just hope we have a beautiful day to go with it! It'd be nice if the day was sunny and warm so that the kids could play outside on the playground and the adults could go outside too. I would love that. Can you pray for some good weather for her birthday celebration? All this planning has not left me much time to think about what the approaching day really means. I'm consumed in making this party everything I want it to be. This is the only year we are having such a big celebration so I just want it to be perfect. Thanks to everyone who can't be present that plans on releasing a balloon or lighting a candle. If you take pictures, please send them to me. I'd love to have them! I'd like to create a post with all of them. Walking With You is an outreach of Sufficient Grace Ministries, led by Kelly Gerken. 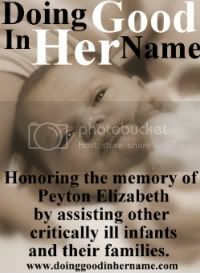 We are a group of mothers who have lost a baby or child. We gather together from different places on our journey, each month to share our stories, to encourage, and pray for one another as we walk this path together. Our hope is that you will be comforted when you join us here...and maybe that we can offer some grace for the journey as we look to the Lord for comfort and strength. This month for Walking With You, we are starting something new. We will be going through the Threads of Hope, Pieces of Joy Bible Study for the next nine weeks. Even if you have not joined us previously, you can join us for this. All are welcome. I'm a little behind so I'm combining chapters 3 & 4 on this post. Chapter 3 is titled 'This Can't Be Happening' and looks into biblical examples of grief such as Joseph (Genesis 37-50) and Job (book of Job). I think it really helps to read of examples of grief in the bible. I think Job is a wonderful example of grief and suffering. Reading Job may seem depressing to some but I find it encouraging. There's not many people who have suffered the depth of loss as much as Job. He lost 7 son and 3 daughters, all his possessions, and his health. That's pretty darn depressing. Job took his time and mourned. He felt the heavy weight of grief. In the end, he worshipped God and God later blessed him by restoring what he had and even doubling his possessions. Of the scriptures looked upon in the study, the ones I relate to the most in Job are Job 3:25-26 and Job 42:1-3. In the first passage, I relate in that my worst fear has come true and it devastated me. In the second passage, I relate in that I don't know God's purposes and may not understand but I can be assured there is a greater purpose in it all. I have no rest, but trouble comes. 3 'Who is this that hides counsel without knowledge?' Therefore I have uttered what I did not understand,things too wonderful for me, which I did not know. The next part talks about stages of grief, including relief, denial, and facing your loss. I feel that I am somewhere in between hope and acceptance. 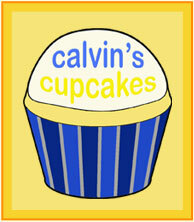 However, in planning for Carleigh's birthday party I am mostly in busyness. Lots of busyness. Letting go is the last stage and I'm not sure I'm ready to let go just yet. Is there even such a thing? There's so much I lost when I lost her. I lost hopes, dreams, snuggles and hugs, first words, first steps, school, graduation, her wedding. Her whole life she could've had. It's difficult not being able to watch her grow up like her sister. I have to live the rest of my earthly life without her. It sure seems like a long time to me. I like the promise of 1 Corinthians 13:12: For now we see in a mirror dimly, but then face to face. Now I know in part; then I shall know fully, even as I have been fully known. One day I will have the answers but until then Romans 8:28 tells me this: And we know that for those who love God all things work together for good, for those who are called according to his purpose. Chapter 4 is titled 'Why Me?' and speaks on anger. I didn't relate much to this chapter as I haven't felt much anger in my grief with Carleigh. I express anger the way I express other negative-type emotions, which is keeping it inside. I don't like to talk about things, much to the frustration of my husband. I'm getting better but I'm certainly not the greatest at it. I find it much easier to write about it. I guess I would say the thing that makes me angry about my loss is that my girls won't get to grow up together and be close. I wanted that for them and for me so much. My anger in crowds and public places has gone away. It soon resolved after I recognized what was happening and went in prayer about it and made the decision to try and have a different attitude. There have been those in our journey that have caused me some anger. Most of this is from our NILMDTS photographer and that situation. While it does still upset me when I think about it, I have chosen to let it go and move forward as best as I can. I don't want anger about things to consume me. The best way for me to do that is to forgive and to let it go. (Notice I didn't say forget! That's not as easy!) I don't think that it is wrong to feel angry but I do think we shouldn't linger on it and let it consume us. Ephesians 4:31-32 tells us to be gentle with one another and to forgive quickly just as God has forgiven us. This is a simple solution for other people but much for difficult for life situations. As far as anger at myself or at God, I don't feel anger at either. I have questioned if it was something I did to cause Carleigh to have anencephaly but I wasn't angry at myself. Through this whole journey, I have never been angry at God. I know God is grieving with me and has carried me this entire time. He loves me and did not cause my daughter to die. I know God understands the best what I am going through-more than anyone else. I trust God completely and that is one thing that will never change. Thanks Danielle for sharing Wyatt's invitation and inspiring me to make one too. 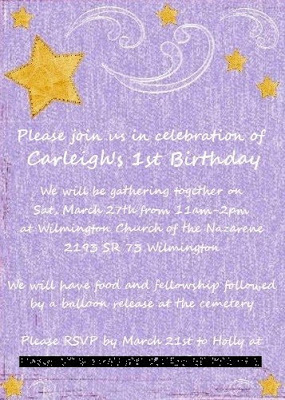 I've just been so busy in planning everything else for Carleigh's party that I didn't even think to make an invitation. You'd think that'd be an obvious one. I am managing to get quite a bit done for her party but it's taken a lot of work so I haven't had time for much else. I haven't even gotten the sleep that I should. Hoping to catch up this weekend on that. So, I have sent some invitations out and ordered all the balloons. Things yet to work on are the tables, the cake, a possible slideshow, and food menu. And of course all the little things to help pull it all together. I'm hoping to have the guest list finalized a week before the party. Right now I am planning for 75. I'd rather plan for too many than not enough. I can always eat any possible leftover food later. I did just finish a photobook from kimsbookshelf.com that I wanted to get done for Carleigh's party. This book took me a lot of time to complete but I finally did it and it turned out great! I'm not sure why but I never put my maternity photos, Carleigh's 3D ultrasound, and our NILMDTS photos in Carleigh's albums. So I put all of these pictures in the album I created. Thank you Kim for setting me up with a trial for the site and sending me my wonderful photobook for free! I can't wait to see it in person. I should get it very soon. I've gotten almost all my giveaways in line for Carleigh's birthday. I still have a few more to get around. I'll be doing these the week leading up to her birthday so keep an eye open for those! Of course, the last line for me is March 28th instead of February 20th. I cry and sometimes sob when I hear these words because I have no doubt that the moment she left was so beautiful for her even though painful for us. What exactly happened? What did God say to her? I won't ever know these things in my lifetime but I can be assured that His glory was present and it was magnificent. These words of the song affect me so greatly that I put them at the end of her photobook (and changed just a few of the words to fit). I, for one, am thankful that SCC decided to create this album. He gets it and he captures it perfectly for me. Right now, I'm ready for the grief to come and I welcome it with open arms. It is needed for such an important date coming up. Perhaps things will go better than I imagine and maybe they won't. Regardless of how it is, God will carry me through to the other side. I think that we will finally watch the videos we took that day. I have only glimpsed a little bit of one. The thing I remember most about it is the eerie silence in the room. It was so quiet, so unnatural. But I know that at that time there was nothing unnatural about it for me. It didn't seem quiet when I was there. I don't think I would've noticed whether it was really loud instead. I was just so focused on her. Gosh, so many memories and I want to remember them all. Makes me glad that I posted during that time and wrote things down. Yesterday, March 5th, was the birthday of a very special boy named Nate. Nate was diagnosed with a heart defect in utero and passed away just 25 days after his birth. He is very much loved and missed by his mom, Trisha, and his family. Please stop by my friend Trisha's blog Looking for Blue Sky and leave her a few kind words and to watch wonderful Nate's video. I'm posting mine about a week late. I'm still trying to play catch up on things. I apologize! Chapter 1 of the study is for us to share the story of our babies. I will give a short summary. If you would like to read further into our journey with our daughter you can read in the archives. I was 22 1/2 weeks pregnant with my daughter, Carleigh, when she was diagnosed with a fatal neural tube defect called anencephaly. It was devastating to learn my little girl would not live to grow up and fulfill the many dreams I had for her. I knew from the moment of her fatal diagnosis that I would carry her to term. There was no other option for me. I wasn't ready to let my daughter go. The next months were spent planning for her arrival and enjoying the time I had with her. It is very wrong to have to plan for the funeral of your child while they are still alive in you-feeling her little kicks as my husband and I picked out her casket. But there were wonderful moments too. We had a maternity session done and I created a belly cast with the help of my friends. We also had the opportunity to see our daughter on a 3D/4D ultrasound-something that is quite a treasure to me know. At 37 weeks I was induced and it was the early hours of the morning that my daughter was born. We hoped and prayed so much that we could spend some time with her alive but it wasn't God's will for us. Our daughter was born still. But I was not sad that she was gone when I first held her in my arms. I couldn't cry tears of sadness for I was just happy to have her-my beautiful little girl that I waited so many months to meet. She may be gone from this earth but I know she waits for me in Heaven. Chapter 1 introduces us to the story of a grandmother, her 7 granddaughters, and a quilt that she makes for each of them. One of the granddaughters had a special relationship with the grandmother and on her birthday where she was to receive the quilt, she gets none. This hurts the granddaughter deeply and she grieves for the quilt she never got. The story is told so that those who grieve for their children can relate. Each chapter touches on more of the story. Chapter 2 of the study has us answering some questions. 1) Where do I go to find the truth? I first sought God once I found out about Carleigh's fatal diagnosis. He was so close to me in those moments. I also turned to the internet to research more about anencephaly. I knew about it already but I wanted to learn more. I found a support group called Anencephaly Blessings From Above that was a real blessing to me. The ladies in the group provided me with a lot of information and support on the journey. After Carleigh was gone I didn't really seek any help but God. I did read I'll Hold You In Heaven (which I had read previously before Carleigh) and Safe In The Arms Of God. I didn't spend a lot of time in the scriptures around the diagnosis or when she was born. I mostly read scriptures online but I didn't open my Bible much. I'm slowly beginning to read it more, but it can be a struggle to find the time. Psalm 19:7-10 tells me that God's Word is better than anything valuable. It tells us the way to live our life and what paths are right. 2 Timothy 3:16-17 shows me that every Word of God is useful. It can show me the truth and my mistakes. Hebrews 4:12 says that no one can escape God's Word. God's words aren't empty. He means what He says. 2) Where does life come from? God is the One who created us and breathed in us the breath of life. He formed us and made us who we are. 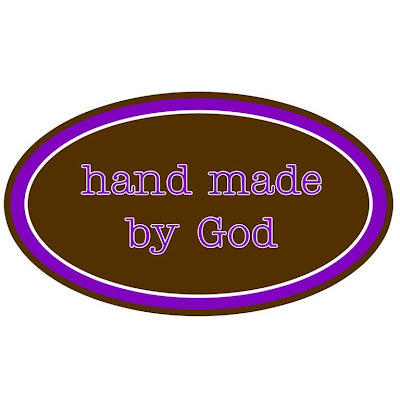 We are marvelously made in His image. In Isaiah 46:3-4, God says that He was with us before we were born and that He will carry us all our lives. God has been with me my whole life. He was with Carleigh from her conception and He carried her into Heaven. Her body wasn't strong enough to stay here on this earth but her soul was mighty. 3) Why was my baby too weak to live? I know that it was nothing Anthony or I did that caused Carleigh to die. Scientifically, it was a random thing. But there have been many times I have felt chosen by God to carry such a special child. It was an honor to have her for my daughter. God could have healed her but He felt her life would have greater purpose being here for just a little while. 4) Where is my child now? I have no doubt that my child is in Heaven. The scriptures give me comfort that she is in the presence of the Lord. After David's son dies in the Bible (2 Samuel 12:15-23) he speaks of how his son cannot come to him but that he will go to his son. I've often thought about the day where Carleigh and I will be reunited. I don't think that I can fully comprehend the joy and glory of it all. It is a day when I will get to meet my Savior face to face and hold my children. I already feel like Heaven is my home. 5) Can I ever understand WHY? There have been times when I have asked why but that question isn't important to me anymore. It won't change anything. Sure, it would be nice to know exactly why this all had happened, but it won't bring my daughter back. And honestly, I would never want to bring her back to earth after she has already experienced the joys of Heaven. She wouldn't want to come back. I wouldn't either. Isaiah 55:8-9 says For my thoughts are not your thoughts, neither are your ways my ways, declares the LORD. For as the heavens are higher than the earth, so are my ways higher than your ways and my thoughts than your thoughts. God's wisdom far exceeds mine. He will always know better than I do about the matters in my life. I need to trust in Him. 6) How can God help me deal with losing my baby? 1 Corinthians 1:3-4 tells us that God will comfort us. God has been my number 1 source of comfort in my grief. His presence has been so near to me on many occasions on this journey and I have also felt like He was far away, even though He was with me the whole time. The love I have felt from God has been like a pair of arms wrapped around me and just holding me. It is so amazing. God brought into our lives so many that also comforted us and gave us support during the difficult times. It always means so much to have our daughter remembered and to hear her name spoken. We never want her to be forgotten. I am thankful that I was able to walk with so many on the same journey who understood. What a blessing it has been. Butterfly Mommies is hosting a giveaway each month. This month to enter just answer the following question and link up. What positive things have come from the loss of your baby(ies)? When we first learned of Carleigh's fatal diagnosis anything positive about the journey that we were embarking on was far from my mind. Those first few days we were in survival mode. I stayed at home and researched. I listened to music and read poems and stories and cried. How could this be happening to us? Is this really real? Just 4 days after D-Day we left for Hawaii. I know I was determined to enjoy the trip. All the worries and fears and tears could wait until we got back home. That trip was exactly what we needed and the timing was perfect. We had been planning the trip for 3 years, right after my sister and I both got married and honeymooned in Hawaii. What are the odds that just days before a trip planned for so long we find out such devastating news? The trip was the catalyst to the changes in my attitude toward our journey. While there were still difficult days, I began to see the impact our journey could have. People reached out to us and showed us love and support. We were sent so many wonderful gifts from so many people. The kindness and compassion we had received made me want to do the same for others. That is one positive thing from this journey. From my own experience and from others, I have learned the right and the wrong ways to reach out to people who are hurting. I have learned how to comfort. I hope that by sharing our story that someone else may benefit from it. I have also learned how to love deeper. Carleigh herself taught me that. The bond between a mother and her unborn child is a strong one, which grows deeper as the months pass (at least for me). I never imagined loving a child so much who some would consider not even being a child at all just because she was missing some of her brain. She was more human to me than some people who have a whole brain. Carleigh has showed me and my family that you can't take a single moment for granted. You are not guaranteed your next breath. What do you want to experience in those moments? Love and joy or anger and bitterness? You quickly learn how insignificant many things are and what truly matters. My husband and I have faced the worse together-the loss of our child-and we have come out even stronger. I know that there is nothing that we can't get through together. We may not always agree and we know we will have our arguments, but we vowed for better or worse, for richer or poorer, and in sickness and in health and we meant it. In some ways we grieve the same but we have our differences. There have been a few times Anthony has thought things I have done are weird but he lets me do them because he knows it's what I want. I would do the same for him. Statistics say many marriages do not survive such a loss but I have no doubts for us. We are not just surviving, but thriving. The very obvious positive in all of this is that I have a beautiful daughter. Nothing can take that away from us. 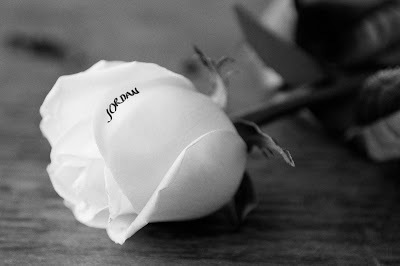 She may not be here with us on this earth, but she is waiting for us in Heaven with Jordan and many other loved ones. One day we will be reunited and we look forward to that day. I knew that one could draw closer to God through tragedy. I have experienced it once before, but it was still amazing to feel the closeness of God throughout our journey. He was there from the beginning. We trusted Him and continue to trust Him with our lives. When things are going great in your life it is so easy to keep God at arm's length. I have learned through trials just how desperately I need God. I am nothing without Him and I know that there is nothing that could ever happen to me or in my life that would make me turn away from Him. I don't want a half-hearted relationship. I want to give my all. I am still a work in progress and prolly will be until the day I die. I love the words in Sanctus Real's song Forgiven: When I don't measure up to much in this life. Oh, I'm a treasure in the arms of Christ.